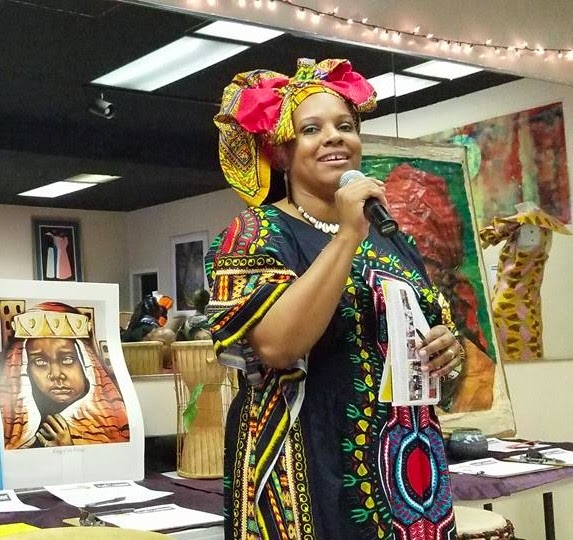 Zenzele Consignment, a clothing resale store and economic develop project that sustains the programs of the All African People’s Development and Empowerment Project (AAPDEP), recognized its one year anniversary with a successful anniversary celebration and fundraiser on August 27th 2017. Dozens of community members and supporters came out to honor the occasion with appreciations awarded to Zenzele’s consignors, donors, and volunteers as well as presentations summing up a year's worth of accomplishments and the goals and objectives of the non-profit that lie ahead. The evening was highlighted by African cultural performances featuring the indelible jazz songstress Alexandria Seward, the rhythmic African drumming of Ivy Joe, and spoken word by the poetic duo behind Soule Xpressionz. Live models posed as mannequins adorned in fashion-forward traditional African garments staged the room. This event truly set the tone for the institution’s emergence as a cultural and political hub for the African community in Huntsville, Alabama. The inroads were made evident by a measure of donations, sustaining memberships, and newfound volunteers. With the continued leadership and participation of Africans committed to establishing self-reliant and self-determining community based development projects that improve the quality of life of Africans everywhere, Zenzele Consignment is sure to solidify its optimistic vision of a progressive future for African people. Support the African-led educational agricultural and healthcare programs of the All African People's Development & Empowerment Project by shopping, consigning, donating, and volunteering at Zenzele Consignment today. Visit developmentforafrica.org and zenzeleconsignment.com to get involved!